Nowadays, different fly fishing methods that use "Kabari" or "Kebari" are known in Japan. There is also a view that "Kabari Fishing" and "Kebari Fishing" are different from one another, but I think that the origin is same and the difference is by the fisherman, the fishing area, and the main target fish, so I created two names newly in considering Traditional Japanese Kebari History. One of them is "Urban Kebari Fishing" of Hae (Hasu, Pale chub) or Ugui (Japanese dace) that had been done by the court nobles and the samurai mainly. (Standard Japanese name of Hae (Hasu) is Oikawa, and it is called Yamabe in Kanto.) Another is "Mountain Village Kebari Fishing" of Yamame (Amago) or Iwana that had been done by the people and the fishermen in the mountain villages. The first fly was called "Haegashira", and those were called "Hachigashira", "Kagashira", "Kabari", etc. with the times. I think "Kabari" (Another page for details) and "Kebari" became more clearly differentiated the late 1800s when the fishing methods were established, but all flies for Hae (Hasu) or Ugui, Ayu, Yamame (Amago) or Iwana are called "Kebari" now. No one knows for certain why it's called tenkara. 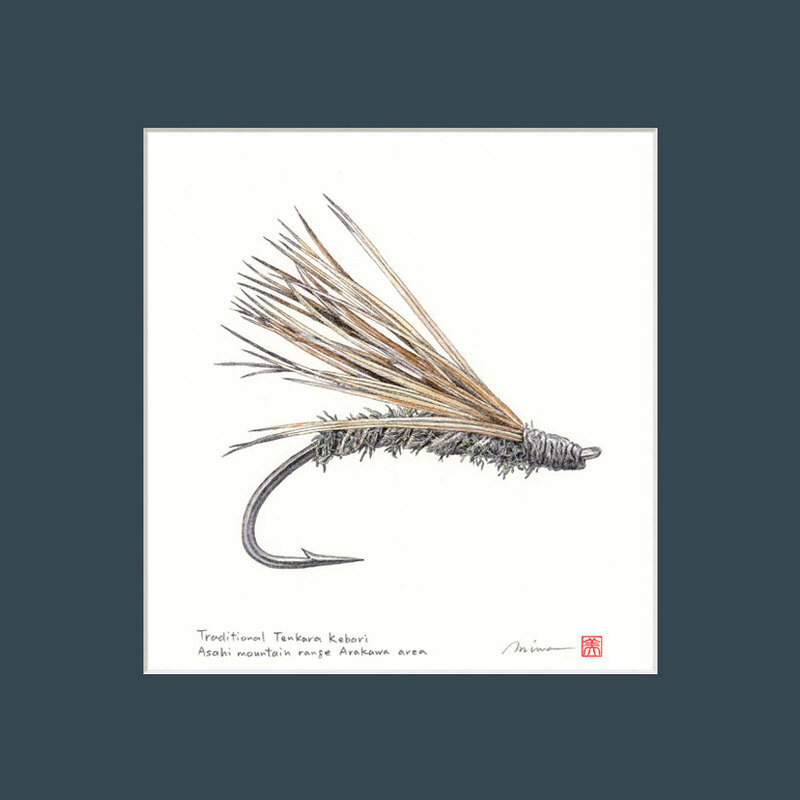 Some say it's because tenkara means "from the sky", suggestive of the way the flies are dapped into the water from above. Others say it came from the word "Tengara", which is an entirely different method of fishing for Ayu (sweet fish), it was introduced to Japan from China. Still others say the state of Tenkara fishermen are like the children's game "Ken-Ken" that hops with one leg, and came to be called "Tenkara" from a dialect in Hida, Etchu and Kaga area. There are various theories besides. References: Ishigaki H. (1992). 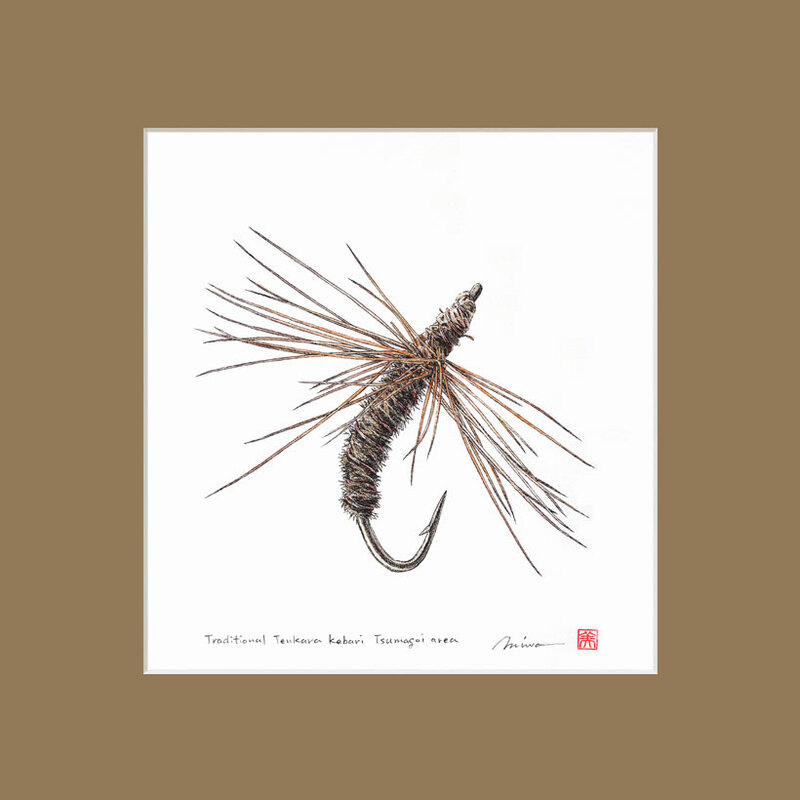 Kagaku suru Kebari tsuri [Science of Kebari fishing]. Tokyo: Kosaido Publishing. Katsube, N. (1978). 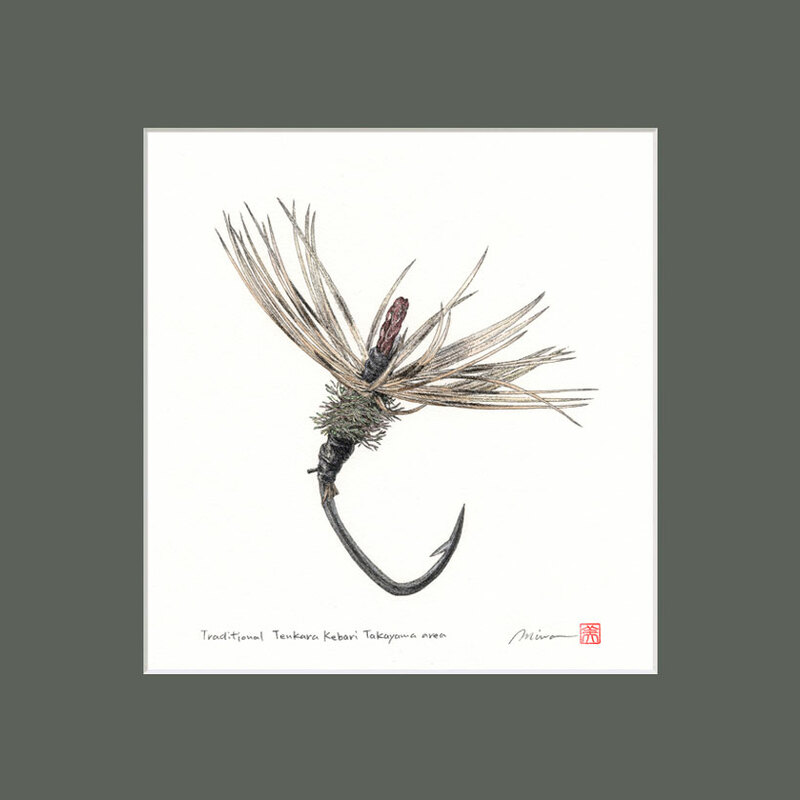 Tsuribari Shiryo Shusei [Compilation of fishing hook historical materials]. Hiroshima: Keisuisha. Kumagai, E. (1985). Yamazuri no Rondo [Rondo of Mountain Fishing]. Toko: Yama-Kei publishers. Nagata, K. (1987). Edojidai karano Tsuri [Fishing from Edo period]. Tokyo: Shinnihon-shuppansha. Oda, J. (2001). Edo Chojutsu Hiden [Secret Fishing Techniques of Edo]. Tokyo: Soubunsha. Yamamoto, S. (1973). Nishinihon no Yamazuri [Mountain Fishing in Western Japan]. Osaka: Tsurinotomosha.